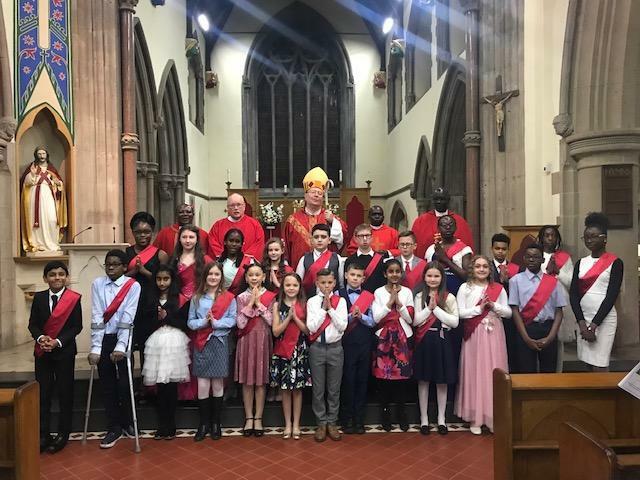 On Tuesday 5th February twenty of our Year 6 pupils were confirmed in St Osburg’s church by Bishop Kenney. 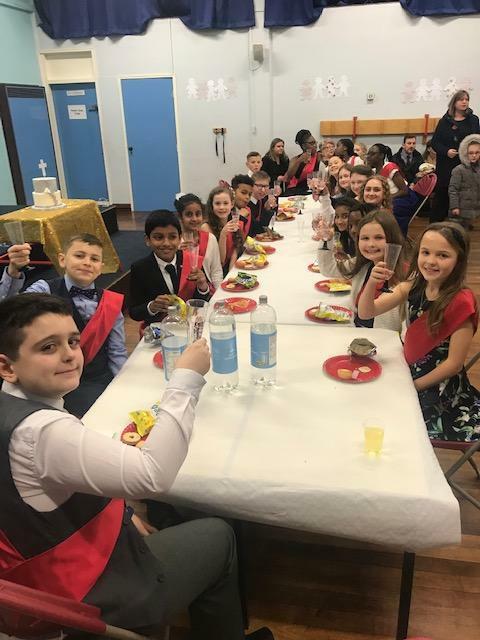 The children looked extremely smart and were so excited to be taking this next important step in their journey of faith. 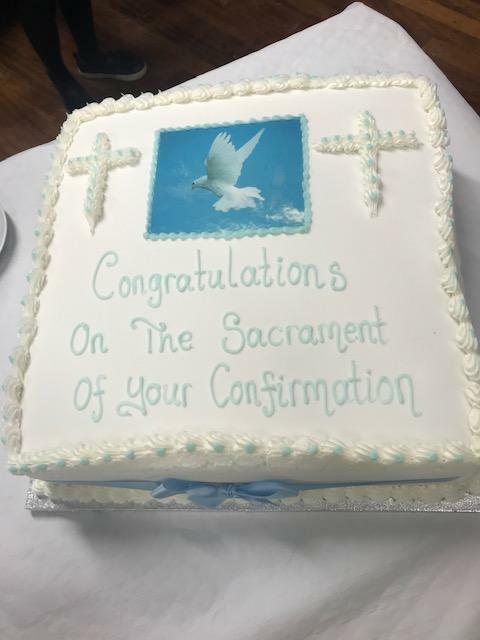 I was very impressed with their reverence and active participation as they led us through the Mass and received the gifts of the Holy Spirit. 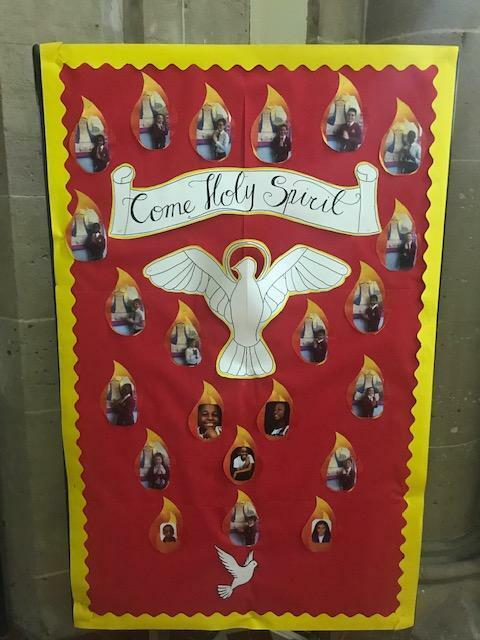 The church was beautifully adorned with Holy Spirit inspired art work and a special display dedicated to the Confirmandi. What a wonderful evening!